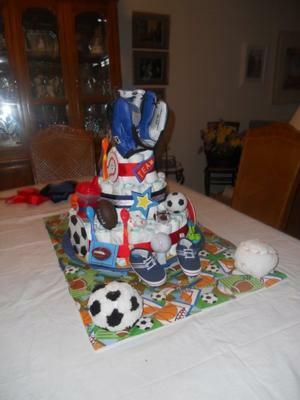 If you are looking for some ideas for a sports diaper cake, you will get some great ideas here from Jean's sports baby shower cake. She went all out and created this incredible cake! Enjoy it! 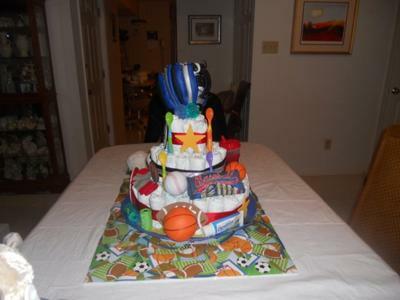 Here are some other diaper cake ideas from our diaper cake gallery! Another one of my lovely nieces in Pennsylvania was having a baby boy and the Dad loves sports.